In the state of Hawaii, the county you live in will determine what appointments you can schedule. This guide will take you through the types of appointments you can make in each county, how to make them, and what you'll need to bring. 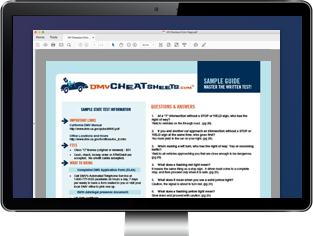 You should also check out the online services offered by the state, which will allow you to accomplish many driver and vehicle-related jobs from the comfort of your own home. By making appointments with the Vehicle Registration and Licensing Division (VRL), you can save yourself big time on the Big Island. Keep reading for more information on scheduling VRL appointments in Hawaii County. If you want to schedule a CDL road testing appointment, you'll need to go in person at the Hilo or Kona Driver Licensing Office, with the $50 commercial driver license testing fee. You can schedule appointments with the Division of Motor Vehicle and Licensing (DMV) for certain road tests if you live in the County of Maui. Keep reading this section for more information on making appointments with the Maui DMV. Standard road exam appointments are also available at the satellite offices of Hana, Lanai and Molokai. Contact these locations directly. For a CDL road skills testing appointment, you will need to go in person with the $50 CDL test fee to the Kahului Service Center (where all CDL processing is done), or to the Lanai or Molokai facilities. You can spend less time in line and more time on the Honolulu beaches, with the convenient scheduling services provided by the Honolulu Motor Vehicle, Licensing, and Permits Division. To schedule a standard license road exam, you can use Honolulu's online Appointment for Road Test System(ARTS). You will need to pay a non-refundable testing fee of $8 when you schedule your road test appointment. To make a CDL road test appointment, you'll need to go in person to the Commercial Driver Licensing Center. There's a $50 CDL road test fee due when you schedule your appointment. By scheduling an appointment with the Kauai Driver License Division (DLD) ahead of time, you can spend less time in line and more time enjoying the beautiful Garden Island. To schedule your CDL road skills exam, you'll need to go in person with the $50 CDL road exam fee to the Kauai Driver License office.